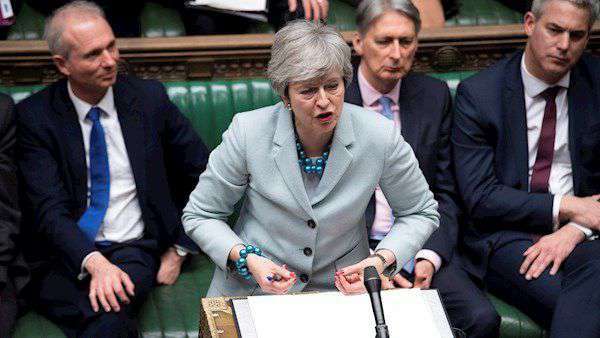 Image caption Prime Minister Theresa May is under pressure to name a date for her departure after Cabinet support “drained away” from her and the DUP made clear its lack of faith in her, according to the Times. The paper quotes senior figures in No 10 as confirming that discussions on a timetable for her to stand down are under way. 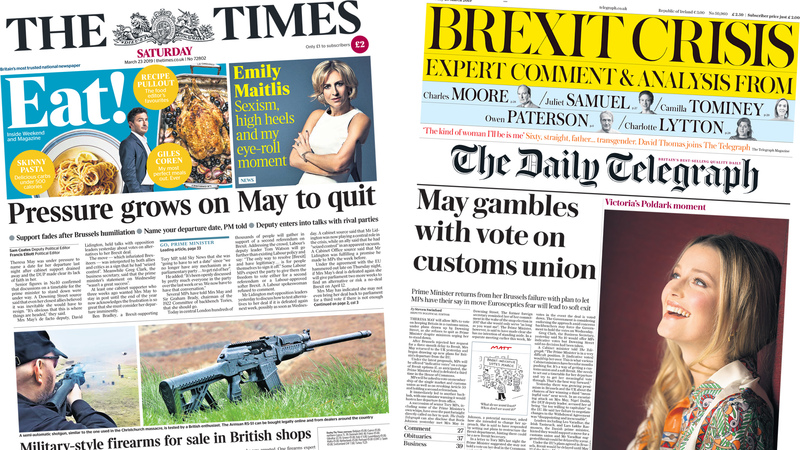 Image caption The Daily Telegraph reports that Mrs May is set to allow MPs to vote on keeping Britain in a customs union, rejecting calls for her to quit as prime minister. 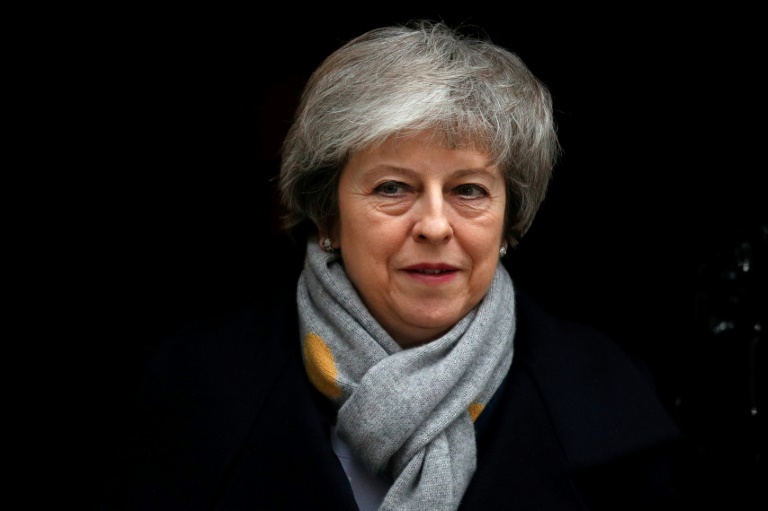 It says “indicative votes” will be offered to MPs on a range of Brexit options, if, as is expected, her deal is defeated for a third time in the Commons. Image caption “MPs set to seize control of Brexit” is the headline on the front of the Financial Times. The paper says MPs will, for the first time, be given the chance to rank various Brexit options in a series of votes that it says are expected to take place on Wednesday. 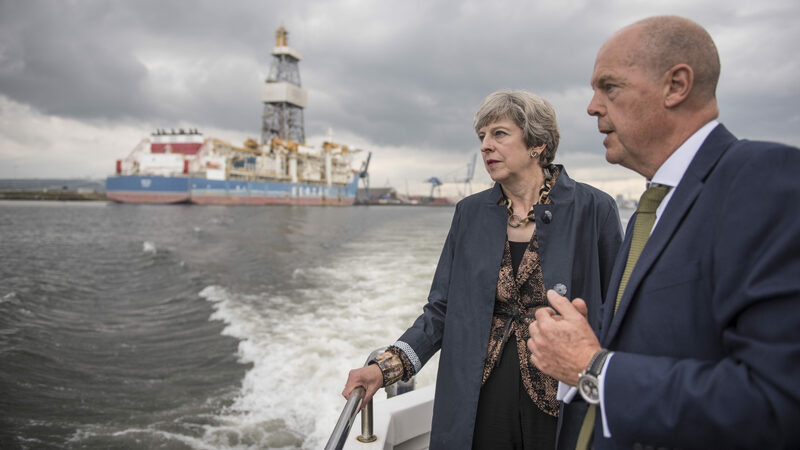 Image caption The extent of the impact of a no-deal Brexit is revealed in a confidential Cabinet Office document seen by the Guardian, according to the paper. It says the document sets out command and control structures in Whitehall and says government departments will have to “firefight most problems for themselves”. 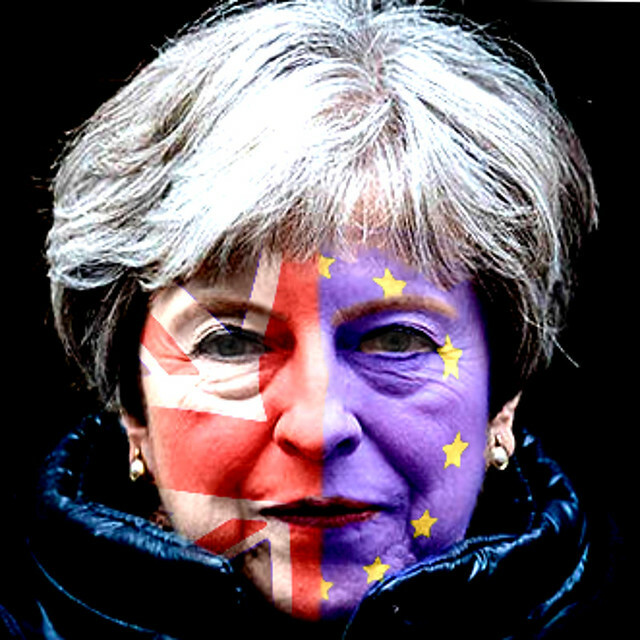 Image caption The Daily Express describes Theresa May as going “all out” to “smash the Brexit deadlock” as she fights for her political survival. The paper says she has indicated she may not bring her withdrawal agreement back to the Commons for a third vote if there is not enough support for it. Image caption “PM losing her grip on power” is the headline on the front of the i newspaper. It says the PM’s control over her government and party is now close to collapse. 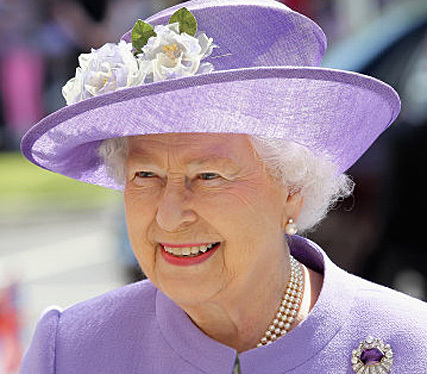 Image caption The Daily Mail dedicates its front page to “litter heroes”. It says the initiative is the UK’s biggest volunteer drive, with almost half a million people signing up to take part. Image caption The Daily Mirror reports that a Britain’s Got Talent dancer has killed himself, leaving his family and show staff devastated. Image caption Armed raiders struck on the set of Coronation Street at the same time a robbery on the soap was acted out, the Sun reports. The paper says expensive kit was stolen and the crew were “very shaken up”. Image caption And finally, the Daily Star says its campaign to give “fed-up Brits” a 24-hour break from “boring” EU exit talks has received the thumbs up from a Brexit minister.